Wally’s Answer: The Adobe Update Manager can sometimes start having some issues. You can refer to Adobe’s own website for support or refer to the troubleshooting tips below. Adobe application manager is a software that is included with Adobe products such as Adobe Creative Suite 6 and Adobe Creative Cloud products. It is only really needed if the software specifically says that Adobe application manager is required to receive adobe updates for that product or if Adobe software says that Adobe application manager is needed to start a trial of that software. A manual update is easy, all you gotta do is download and install it. Go to the Product updates site to download the update you need. Double click on the setup icon to start the setup, and follow the instructions. 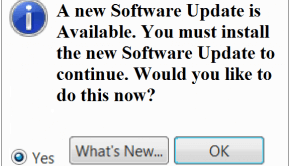 The update is downloaded to standard dictionaries where the program is installed. Replace [username] with your actual user name. The one that you are logged in as. There should be a Set-up.exe in the folder. If its not there then download it from the Product updates site. Before we start, here are some General Troubleshooting tips. Note the error and any additional information. Then, visit the Adobe Support website. There you can choose the product that you are using, and search for the error and click Search. Also, try to remove registry keys and file paths from the query. The installation logs can also be used to find an error message to search. 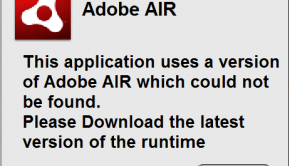 Adobe Support Advisor can help solve installation issues. If all else fails, then contact Adobe Support. If you used the Adobe Support Advisor software for troubleshooting purposes, then they can help you faster.